“Justification is the article upon which the church stands or falls.” So said Martin Luther as he battled for reform in the eye of the sixteenth-century storm that we know as the Protestant Reformation. The Reformers rediscovered the truth and beauty of the gospel message and proclaimed it faithfully and forcefully. Their allegiance to the gospel inform and inspire us as we strive to follow in their footsteps. Nate Pickowicz beautifully summarizes the spirit of the Reformers in his most recent book, Why We’re Protestant: An Introduction to the Five Solas of the Reformation. First, the author clearly describes the “gospel crisis” that emerged in the sixteenth century. The crisis involves a fundamental disagreement on how sinners are justified. The answers proposed by Rome and the sixteenth century Protestants are clear. The answer proposed by Rome falls short of the biblical benchmark and leads sinners to a pathway of destruction. The Protestant reply is faithful to Scripture and leads sinners on a pathway to the Celestial City. The essential message of the Reformation is captured in the five solas – grace alone, faith alone, Christ alone, Scripture alone, and to God alone be the glory. Pickowicz guides readers on a journey that unfolds these remarkable truths in a way that is winsome, historically accurate, and faithful to Scripture. Why We’re Protestant is a veritable battering ram and a boon for the truth of the gospel of Jesus Christ. As we draw near to the five hundredth anniversary of the Reformation, I commend this fine work and trust that God will use it to fortify a new generation of reformers who exalt the person and work of the Lord Jesus Christ! What Can a 509-Year Old Man Teach Us? July 10, 2018 marks the 509th birthday of John Calvin. But the streamers and balloons are nowhere to be found. Simply put, we live in a day that is so wrapped up in technology and new inventions that we tend to forget the lessons of the past, especially the lessons of dead guy. Calvin’s life was a pilgrimage that was characterized by God’s providential grace. It was God’s providential grace that led him from place to place, equipping him for a lifetime of ministry. It was God’s providential grace that sustained him during his period of exile and sheltered him through the storm. It was God’s providential grace that empowered him to write and preach and shepherd the people of God for the glory of God. It was God’s providential grace that brought Calvin “through many dangers, toils and snares.” Indeed, it was God’s providential grace that rescued his soul from hell and seated him in the heavenly places in Christ Jesus” (Eph. 2:6). And it was God’s providential grace that led Calvin to assume a particular posture that is best articulated in Isaiah 66:1-2. Notice three things about the Genevan Reformer. First, Calvin was a humble man. C.J. 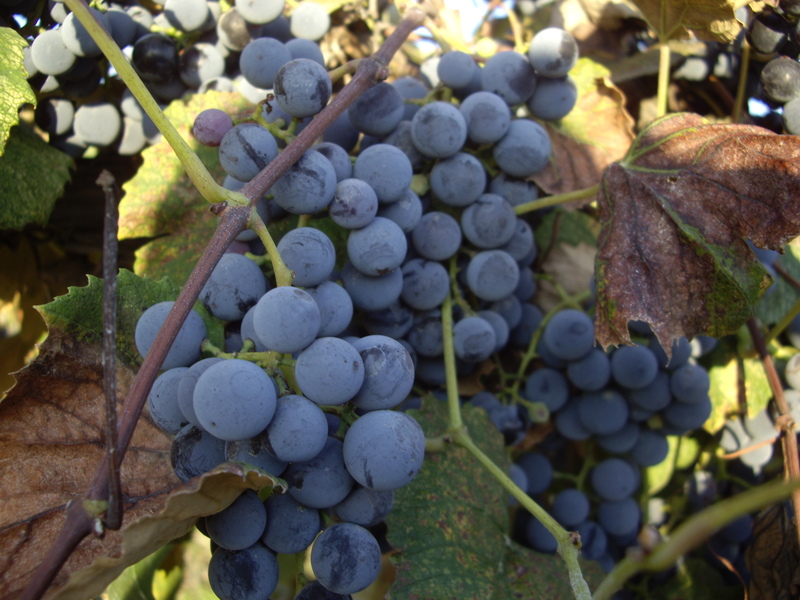 Mahaney lays bare the heart of a humble man: “Humility is honestly assessing ourselves in light of God’s holiness and our sinfulness.” And the Scriptures demand this kind of humility. “Finally, all of you, have unity of mind, sympathy, brotherly love, a tender heart, and a humble mind” (1 Pet. 3:8, ESV). Second, Calvin was a contrite man. The contrite is one who is “stricken, smitten, or crushed in spirit.” John Calvin was a man of Christ-exalting contrition. His contrition was Christ-exalting because he knew that Christ was the One he had offended and that Christ alone could free him from his sin. No work could forgive him, no prayer could forgive him; no priest could forgive him. So what can a 508-year-old man teach us? We live in an age where technique is king and pragmatism is queen. The church has fallen prey to this vicious cycle. We tend to do what works and invest in what brings results. Steve Lawson writes, “The church is always looking for better methods in order to reach the world. But God is looking for better men who will devote themselves to his biblically mandated method for advancing his kingdom, namely, preaching – and not just any kind of preaching, but expository preaching.” In a day when preaching is being downplayed and theology is being ignored, we need to remember what Calvin understood, namely, people are transformed by truth. 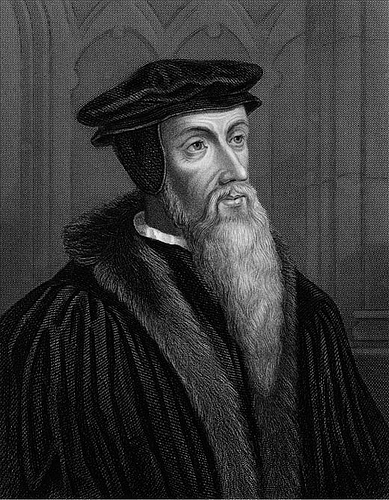 May the life of John Calvin serve as an inspiration to live the Christian life with vibrancy to the glory of God. May his courage embolden each of us in the difficult days ahead. When the days grow dark, persecutions escalate, and our freedoms begin to erode, may we remember the motto still etched in Genevan stone, “post tenebras lux,” after darkness light. May his humility, contrition, and trembling before the Word of God mark our lives as well. And may the contemporary pulpit be a reflection of Calvin’s pulpit; may men of God stand behind the sacred desk and faithfully deliver to unchanging truths of Scripture so that saints might be strengthened, edified, convicted, encouraged, and equipped! John Calvin is numbered among the maligned. He was a target in the 16th century and he continues to attract the attention of the uninformed today. Yet Calvin’s life was a pilgrimage characterized by God’s providential grace. It was God’s providential grace that led him from place to place, equipping him for a lifetime of ministry. It was God’s providential grace that sustained him during his period of exile and sheltered him through the storm. It was God’s providential grace that empowered him to write and preach and shepherd people for the glory of God. It was God’s providential grace that brought him “through many dangers, toils and snares” to coin a phrase by John Newton. Indeed, it was God’s providential grace that rescued his soul from hell and seated him in the heavenly places in Christ Jesus (Eph. 2:6). 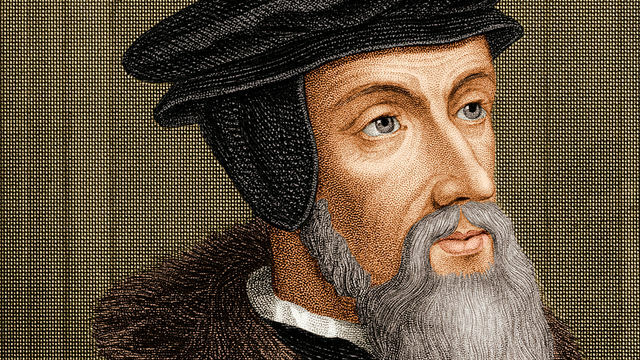 Michael Horton beautifully records the life, legacy, and pastoral ministry of the Genevan reformer in his latest work, Calvin on the Christian Life. 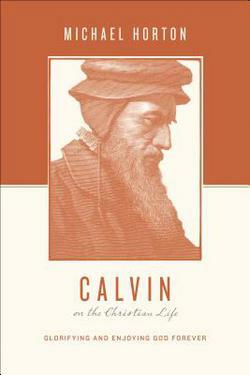 Horton honestly assesses Calvin’s role both theologically and pastorally in categories that are unique to the one of the world’s most well-known leaders. Horton’s work is readable without being simplistic and alerts readers to some of the defining moments of Calvin’s life. Calvin on the Christian life is a welcome guest in the ever-expanding books which survey the Protestant Reformation. The heroes of church history can rightly inspire us, motivate us, challenge us, and fuel our resolve for living the Christian life. But in the final analysis, these godly people remind us about the power of the gospel, and in so doing, lead us to the cross of Christ. “For in the cross of Christ, as in a splendid theater,” Calvin says, “the incomparable goodness of God is set before the whole world. The glory of God shines, indeed, in all creatures high and below, but never more brightly than in the cross.” Nothing would please the French Reformer more than when followers of Christ stand humbly at the foot of the cross. Every one of the dead guys we have learned about over the last several days lived a long time ago; a time when everything was different. Cultures were different. Dress was different. Technology was virtually non-existent, at least by our standards. There was no internet, no television or radio. No motor cars or airplanes. Almost everything was different. But there are two things that have not changed since those days: the sinful hearts of men and the grace of God expressed most vividly in the work of his Son on the cross. The Bible says that every man will face eternal death apart from the grace of the Lord Jesus Christ. Scripture says emphatically, “For the grace of God has appeared, bringing salvation for all people, training us to renounce ungodliness and worldly passions, and to live self-controlled, upright, and godly lives in the present age, waiting for our blessed hope, the appearing of the glory of our great God and Savior Jesus Christ, who gave himself for us to redeem us from all lawlessness and to purify for himself a people for his own possession who are zealous for good works” (Titus 2:11–14, ESV). My prayer is that people will learn to love the dead guys. May you learn from them, be inspired by them, be challenged by them. When you run across a new name, dig in and learn something new about one of the great heroes of the Christian faith. But ultimately, my encouragement is this: Follow the dead guys to the cross. The cross is where they want us to go! Dead men are talking. Numbered among these giants of the Christian faith are Abraham, Isaac, Jacob, Sarah, Ruth, David, Solomon, Jeremiah, John, Paul, and Peter. Gone are Augustine, Polycarp, Hus, Tyndale, Luther, Calvin, Edwards, Owen, Spurgeon, Bunyan, Lloyd-Jones, and Schaeffer. They all worshipped and served the same God. They all bear witness to the Lord Jesus Christ. And each of them have a story to tell that tell of a glorious gospel. Are you listening? What Can a 508-Year Old Man Teach Us? July 10, 2017 marks the 508th birthday of John Calvin. But the streamers and balloons are nowhere to be found. Simply put, we live in a day that is so wrapped up in technology and new inventions that we tend to forget the lessons of the past, especially the lessons of dead guy. So what can a 508 year old man teach us?